If you do like the weekly Friday Night Cat Fights, my newsletter, archived shows, exclusive audio, The Plattah Chattah Forum etc. and can spare $5 or $10, it would greatly help me keep this website and all it encompasses on the web.Â It costs money to host a site of this nature and since I am currently unemployed, it’s getting harder and harder for me to foot the bill myself. Please do not feel any obligation to make a donation to MattTheCat.com. 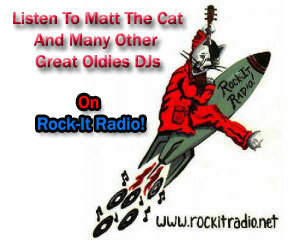 All I am asking for is a yearly donation of a few bucks to keep MattTheCat.com up and running.